EDITOR’S NOTE: In addition to Dr. David Guyton, of Baltimore, the siblings are Dr. Robert A. Guyton, professor of surgery, Emory University School of Medicine; Dr. John R. Guyton, professor of medicine at Duke University Medical Center; Dr. Steven W. Guyton, cardiothoracic surgeon in Seattle, Washington; Dr. Cathy Greenberger, a retired internist in Pittsburgh; Dr. Jean Gispen, rheumatologist and physician with the UM Employee Health in Oxford; Dr. Douglas C. Guyton, anesthesiologist in North Carolina; Dr. James L. Guyton, orthopedic surgeon at Campbell’s Clinic in Memphis, Tennessee; Dr. Thomas S. Guyton, anesthesiologist in Memphis; and Dr. Gregory P. Guyton, orthopedic surgeon in Baltimore. 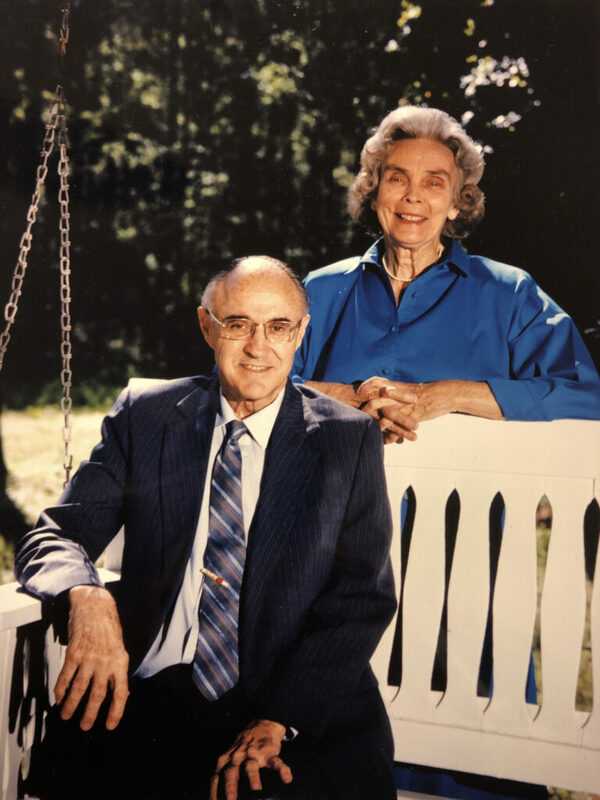 Preeminent cardiovascular physiologist and author Dr. Arthur Guyton and his wife, Ruth Weigle Guyton – parents to 10 children who all became physicians – will be honored posthumously April 13 with the 2019 Legacy Award by the Ole Miss Women’s Council for Philanthropy, an honor based on leadership, mentoring and philanthropy. Before the Guytons relocated with the University of Mississippi School of Medicine to Jackson, the family lived in Oxford, Dr. Guyton’s hometown. The kitchen light burned late in the Guyton home, where the industrious family was always at work, and that light ultimately became a beacon throughout Mississippi and around the globe. “Dr. Guyton was one of the greatest cardiovascular scientists of the 20th century, a master teacher for countless physicians and health professionals, a wonderful mentor for many medical researchers, the father of 10 outstanding physicians and a tremendous inspiration for Mississippians and for people throughout the world,” said Dr. John Hall, the UM Arthur C. Guyton Professor and Chair of Physiology. “Dr. Guyton’s far-reaching concepts have been, and will continue to be, the foundation for generations of cardiovascular and hypertension researchers. The Legacy Award dinner will be hosted for the first time in Jackson, where the majority of Dr. Guyton’s career was devoted to the University of Mississippi Medical Center. He was the author of the famous “Textbook of Medical Physiology,” which is in its 13th edition and has been translated into 22 languages – becoming the most widely used physiology textbook in history. Besides the Guytons mentoring their own children, Dr. Guyton was a deeply committed professor and mentor, extending his impact by teaching every student in the School of Medicine for more than 50 years. He also trained more than 150 scientists, and at least 29 of those went on to become chairs of their own departments and six served as president of the American Physiological Society. Dr. David Guyton, of Baltimore, the oldest Guyton sibling and the Zanvyl Krieger Professor of Pediatric Ophthalmology at Johns Hopkins, said the family is “delighted that their parents’ contributions are being recognized. … Our challenge has been to try to raise our own families with even half of the love and stimulation that we were so privileged to receive as the children of Ruth and Arthur Guyton. “Our parents were both exceptionally bright and brought special but somewhat different talents to our lives – interests that complemented each other. Mama had a liberal arts background and a religious upbringing, being the daughter of the dean of the Yale Divinity School. Daddy had a scientific background and an upbringing focused on self-reliance, with family roots not far removed from the north Mississippi farming culture. OMWC member Lib Quirk, of Atlanta, is chairing the Legacy Award event, with C Spire as the presenting sponsor. Proceeds from the tribute dinner at the Country Club of Jackson will go to strengthen educational opportunities for OMWC scholarship recipients on UM’s Oxford campus. “It is an honor and a privilege to work on the Ole Miss Women’s Council Legacy Award evening honoring the Guytons,” Quirk said. “The more I learn about them and their remarkable family, the more indebted I feel as a member of the Ole Miss family for the contributions this family has made to the university, its medical center and beyond. The Guytons died in 2003 from injuries incurred in an automobile accident. In December 2018, Dr. Guyton’s portrait for the Mississippi Hall of Fame was dedicated by the Mississippi Department of Archives and History Board of Trustees. Guyton graduated from Ole Miss before pursuing his medical degree from Harvard, where eight of his children also earned medical degrees. His training was interrupted twice: once to serve in the U.S. Navy during World War II and when he suffered from polio at age 27, leaving him with paralysis in a leg, arm and both shoulders. Despite this handicap, Guyton’s brilliant career was recognized with more than 80 major awards from scientific and other organizations around the world. Well-known for his inventive mind, Guyton built the first motorized wheelchair controlled by a joystick, motorized hoists for lifting disabled patients, leg braces and other devices for the handicapped while he was recuperating from polio in 1946. For this work, he was given a Presidential Citation and a few years later was named one of the 10 outstanding men in America. 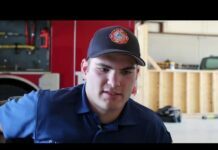 With Guyton’s disabilities, his children became his legs and arms. Businessman Will Lewis and his family were neighbors of the family in Oxford, and he fondly remembers Guyton building the town’s first television. “He could do anything. He was a genius,” Lewis said, recalling the Guyton workshop with many mechanical books. “He ordered the components, and building the TV was a matter of great excitement in the neighborhood. Dr. Guyton turned it on for the first time after school one day so all the neighborhood children could see the miracle of television. Dr. David Guyton said, reflecting, “Our parents had high morals that were ingrained in us more by example than by recitation or discussion. Honesty, truthfulness and fairness were highest on the list, with charity to others being high up there as well. We respected them both so much that we wanted to be like them. For more information on being a sponsor, or purchasing tables or individual tickets for the April 13 event, contact Meg Sinervo with the OMWC at 662-915-7273 or omwc@olemiss.edu. Information on the Women’s Council can be found at https://omwc.olemiss.edu. Very Nice way to write an article, well dear I have been keep searching various articles today, but only your writing skills easily match to this https://cahomeworkhelp.com/do-my-statistics-homework-for-me/ Thanks to you, i have an offer for you if you would like to join our team for the next 3 years. That would be on contract basis. Please let me know if you are interested.